Tomoquad's is proud to introduce the next edition of the much loved Tomoquad's CS line, the new Tomoquad's CS2 Sphinx race frame! 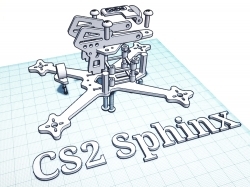 The CS2 Sphinx is a stretched arm configuration that is perfect for 2"-3" props with it's 135MTM size. At only 25grams fully assembled, the CS2 Sphinx carries on the ultra light weight CS line's pedigree. 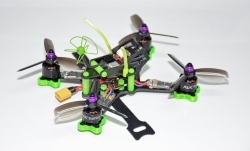 It is also designed to support a wide range of motors from 11XX-13XX-14XX, thus ensuring that you have lots of options no matter what motor/prop combination you choose. 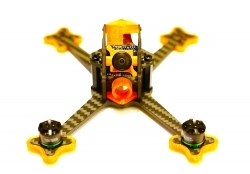 It also sports a new 2mm vertical pod plate, a 3mm bottom plate for added strength and is designed for the RunCam micro swift I/ II or similar, with full tilt abilty in the pod. 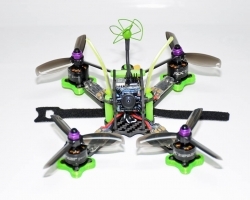 Tomoquads has added a new 3d printed vtx cover and a fresh and stylish design to the Sphinx that draws the looks from the competition! 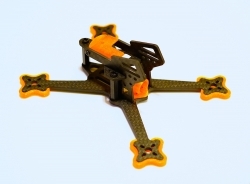 Just like the Egyptian's reached a pinnacle of design with the Sphinx now you can shred the skies with the pinnacle of the Tomoquads CS line! 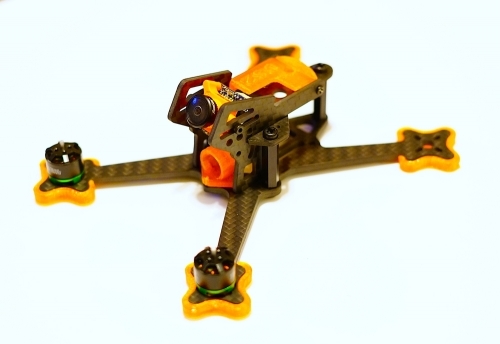 Order your Tomoquad's CS2 Sphinx today! 20x20 4 in 1 ESC , single esc will work too.